I recently bought an iPod Touch. 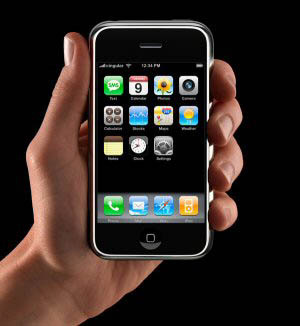 For those of you who don't know, its basically an Apple iPhone but without the phone. Its an iPod so its an mp3 player but you can check your emails, play games, browse the internet and a lot more! Another cool feature is the app store where there are 1000s of applications programmed by users to download onto your iPod. I am interested in programming applications for the app store and was wondering if its possible with Java? Has anyone here had any experience with this? Any information or useful links would be cool.. There is lots and lots of useful information here. You need to start by downloading the iPhone SDK. Does anyone know if its possible to run the iPhone SDK on Linux? Should keep me busy this weekend! I haven't found any information that says Java can be run on the iPhone or iPod Touch. About a year ago they looked into making Java for them, but found using it on SDK was found to be a challenge. Seeing that the iPhone and iPod have very little memory to run the applications, you would have to compact all of Java into such an SDK format. So really anything like Java for either of them probably wouldn't even be called Java! For such reasons I don't think they'll be making it anytime soon, but it's nice to be able to imagine a world with Java in the palm of our hands. Here is something interesting I found; How to install a Java VM on your ipod. This will not allow you to view any Java content via the web browser, it's just a terminal based VM which will allow you to run already compiled Java classes. Note that there is no graphic support. All you can really do is print to the screen etc. First you'll need to add a new repository to your installer's "Sources"
* Tap "Edit" on the top right corner and then "Add"
* Navigate to where your .class file is stored and type "java classname"
* Your program will now run on screen. You need to have a good understanding of iPhone Sdk (Software development tool kit) and iOS for developing applications for iPod Touch. iPhone does not support java for writing apps.